Demostrators in Quito, Ecuador, show their support for WikiLeaks founder Julian Assange, who has been holed up at the Ecuadorian Embassy in London since 2012, in October. So far the parties involved have either strongly denied the report or, like press secretary Sarah Sanders, demurred from commenting upon it one way or another. Manafort and WikiLeaks both said there were no such meetings. WikiLeaks said on Twitter that it was willing "to bet ... a million dollars and the editor's head" that the story was wrong and that the group is launching a legal defense fund. Separately, Manafort also said the report isn't true. "This story is totally false and deliberately libelous," he said in a statement. "I have never met Julian Assange or anyone connected to him. I have never been contacted by anyone connected to Wikileaks, either directly or indirectly. I have never reached out to Assange or Wikileaks on any matter." At the White House, meanwhile, Sanders did not say one way or another what she might be able to address about Manafort's contacts. Instead, she restated the White House's position that Trump didn't have anything to do with the Russian attack on the 2016 election. "We certainly remain confident in the White House assertion that the president was involved in no wrongdoing and not part of any collusion." Separately, people in the orbit of Trump's sometime political adviser Roger Stone denied they were in touch with Assange in the summer of 2016 ahead of at least one of the major releases of material intended to cause chaos in the 2016 election. CNN reported that one of Stone's associates, Jerome Corsi, has given the network documents that suggest Stone asked him to ask Assange for information about the material he had obtained; Stone denied that. NBC News also said it had obtained the Corsi materials and that Corsi has rejected a potential plea agreement with the special counsel's office that would have involved him pleading guilty to lying to investigators. The Guardian newspaper reported on Tuesday that Manafort traveled to London to visit Assange three times from 2013 to 2016. Assange and WikiLeaks released an avalanche of stolen data aimed at causing chaos in the presidential election in 2016. Prosecutors say Assange got it from Russia's intelligence service. Investigators since then have been trying to establish whether there was any link between any Americans, including those in Trump's 2016 campaign, and Russia's wave of "active measures," in which WikiLeaks played a starring role. That's where Tuesday's reports come in: Stone, Corsi and their associates acknowledge they talked about WikiLeaks, but they deny getting any information beforehand about its plans. If Manafort met with Assange, that could be significant in establishing a link — but the two men deny that too. The Guardian story does not cite any sources by name, although it does quote an Ecuadorian government document that suggests "Paul Manaford" paid a call to its embassy in London. 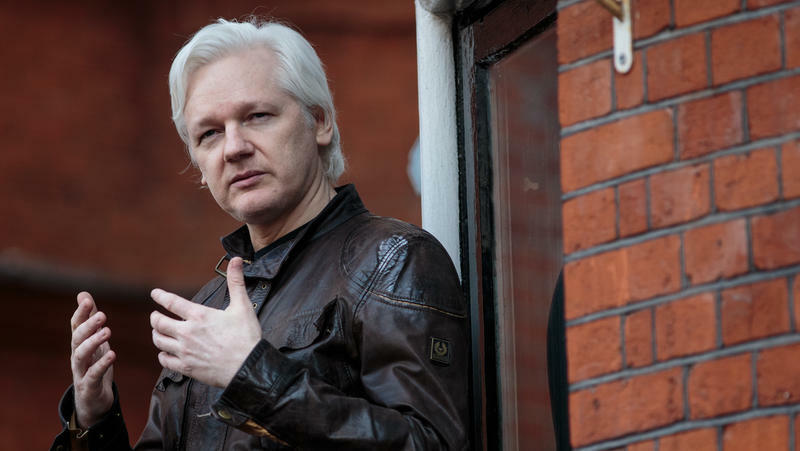 Assange has been holed up there since 2012 trying to evade prosecution, first following sexual misconduct allegations and since then because he fears being extradited to the United States. There may be sealed charges against Assange in the Alexandria, Va., federal district court where Manafort was convicted earlier this year, according to some suggestions in documents there, but the Justice Department has remained silent. 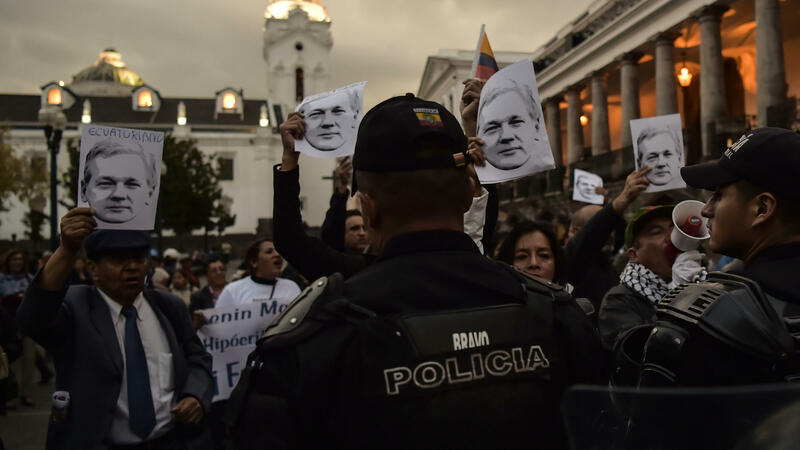 The U.S. Attorney's Office is fighting a bid to unseal any possible Assange charging documents if they exist, which prosecutors do not acknowledge. A judge in the case agreed on Tuesday to take the arguments under advisement. Manafort, meanwhile, has violated the plea agreement he negotiated with prosecutors after that conviction in August, according to court documents filed on Monday. The office of special counsel Robert Mueller, which is investigating the attack on the 2016 election, said that Manafort has breached his deal because he lied to investigators. Manafort's lawyers say that's not so — they said he believes he has offered "useful information." The dispute is playing out amid sometimes feverish speculation within Washington, D.C., that Mueller's investigation may be on the verge of unveiling more criminal charges, perhaps against the subcast of characters centered on political consultant Stone. Stone has said he expects that he will be charged but he denies he has done anything wrong. Also fueling that discussion has been Trump himself, who has used his Twitter account to inveigh against Mueller and his office and what Trump calls the "Justice" Department — with sarcasm quotes. The posts have led Russia watchers to ask whether Trump knows that something might be coming from Mueller's office and that is what has prompted him to renew his attacks. Sanders was asked on Tuesday whether Trump might lean on acting Attorney General Matthew Whitaker, who is supervising the Mueller probe; she said the answer should be obvious. "The president has had Robert Mueller doing his job for last two years," she said. "He could have taken action any point and he hasn't. I'll let that speak for itself." Trump and many others outside Mueller office's believe that the special counsel will produce a final report on his findings. DOJ regulations require that Mueller file a confidential report to the attorney general but it is unclear whether any such report might become public. A new poll released this week found that a majority of Americans would support the public release of that report. Ninety percent of people who responded, including 82 percent of Republicans who responded, said Mueller's findings "should be made public and available for the average person." 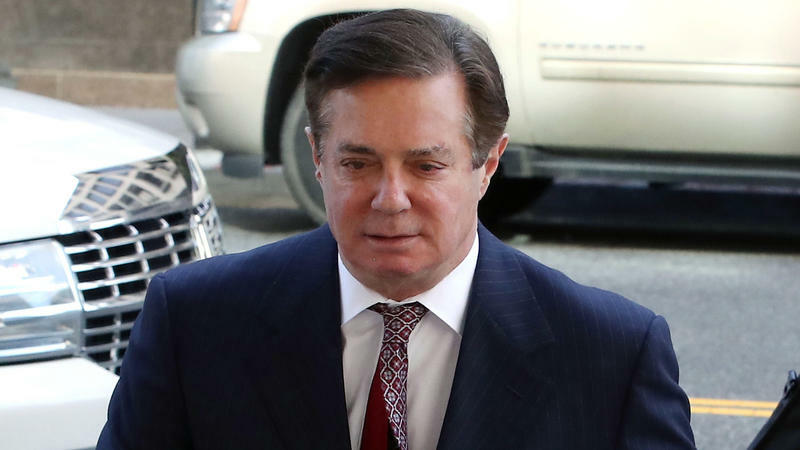 Lawyers working for special counsel Robert Mueller told a federal judge Monday that former Trump campaign chairman Paul Manafort had "breached the plea agreement" he reached with the government and that the judge should prepare to sentence him. Government attorneys said Manafort committed new federal crimes "by lying to the Federal Bureau of Investigation and the Special Counsel's Office on a variety of subject matters." The special counsel team's court filing provided no details about the prevarication.